Well, I’d imagine that ” if people had gills/wings” that the Earth we know now would be a very different place. I’d imagine that there would have to be very little to know land. Little islands with sparse vegetation. Probably similar to Kevin Costner’s tour de force, Waterworld. I imagine that due to the sea and land some humans would evolve with wings and some with gills. This would cause a huge rift and fights over resources would be incredibly violent and bloody. Gilled mothers would tell their sons to not get involved with those winged bastards. The eventual lure of cross-species pollination would lead to a race of super humans who would dominate land and sea. 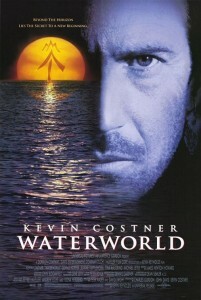 So, yeah, Waterworld wasn’t a very good movie and Kevin Costner is a terrible actor.